That is not dead that can eternal lie And with strange aeons even death may die Millenia ago, the Old Ones ruled our planet. Since that time, they have but slumbered. But when a massive sea tremor brings the ancient stone city of R'lyeh to the surface once more, the Old Ones awaken at last. The Whisperer in Darkness brings together the original Cthulhu Mythos stories of the legendary horror writer H.P. Lovecraft. 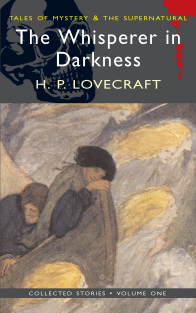 Included in this volume are several early tales, along with the classics The Call of Cthulhu, The Dunwich Horror and At the Mountains of Madness. Arm yourself with a copy of Abdul Alhazred's fabled Necronomican and prepare to face terrors beyond the wildest imaginings of all save H.P. Lovecraft.